American Plastic Toys are offering classic role play fun, made in America, at prices American families can afford this Christmas! 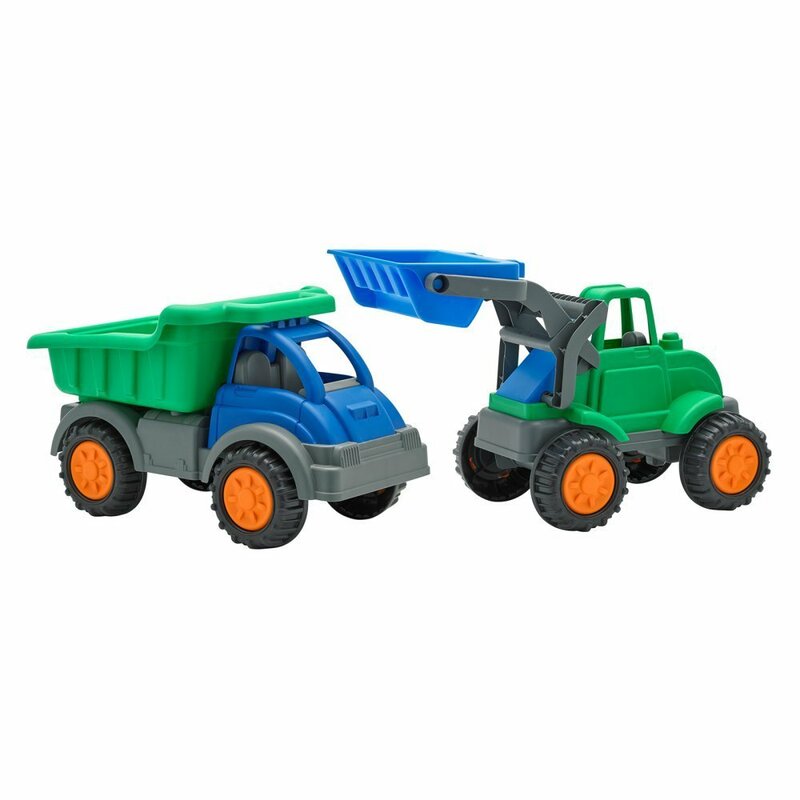 This year, your little ones (age 1.5 and up) will love the Gigantic Dump Truck and Gigantic Loader. They are priced as just $20 each! These rugged vehicles are gigantic in size (nearly two feet long) and feature strong steel axles to withstand even the toughest young trucker! With a working dump bed and loader arm, kids can rules the construction site. This heavy-duty Gigantic Dump Truck is over two feet long, measuring24.25L x 14.25W x 14.25H in.! It features a large tilting dump bed and big, rugged wheels. 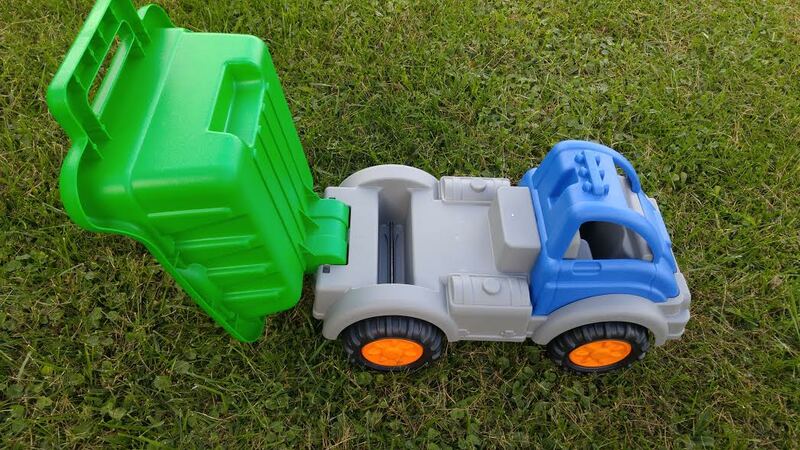 Little ones will love pushing this around the yard, the house, sandboxes and more. Fill the bed and cart your treasures along with you, then easily dump the truck! This heavy-duty Gigantic Loader is over two feet long! It features a large adjustable loader with a tilting dump bucket and big, rugged wheels. It measures: 24.25L x 13W x 12.25H in. The loader lifts up and down! It is a rugged push toy with scoop for long lasting fun indoors and out. The large, rugged wheels for are for easy rolling to push around in the dirt or sand. These gigantic trucks encourage children's imaginations and keep them entertained for hours. If your looking for a study toy for a toddler that loves trucks and cars, then these are perfect for Christmas! These feature durable plastic construction and child friendly designs. Best part of all...no batteries requires! These just run on your child's imagination and pushing! Put a bow on them and they will look great under the tree! Go here to find where you can purchase American Plastic Toys this holiday season!